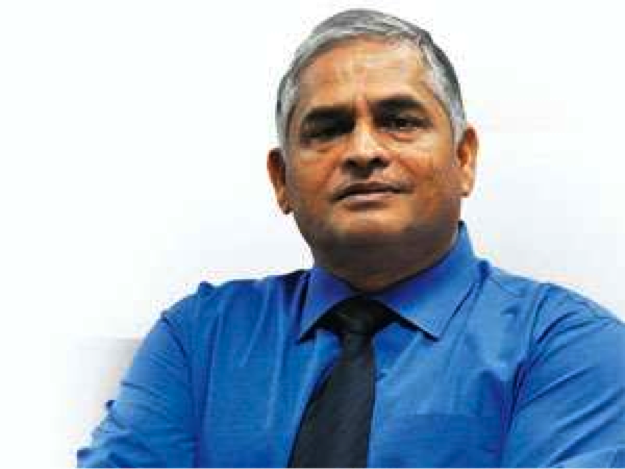 It was a conventional banking job - with the Africa desk of Exim Bank - that took Jose Parayanken to Mozambique in 1986, after graduation from St Stephen's, Delhi and an MBA from XLRI, Jamshedpur. But little did the Kerala born and raised Parayanken know that he would go on to build Mozambique Holdings, a conglomerate with a $100-million capital base in the south-east African country. Today the group has operations in transport and automobile distribution, transit warehousing and distribution, production and distribution of military and police uniforms, ground water development and irrigation systems, toll road construction and maintenance, mining, including prospecting and exploration of owned mining concessions in coal and phosphates. When Parayanken reached Mozambique in 1986, the country was going through a difficult phase. The previous decade had seen the country racked by civil war that had destroyed both infrastructure and agriculture. Worse was the collapse of the Soviet Union in the 1991. Mozambique was highly dependent on the Communist country for military and economic support. "The economy was in trouble post-Soviet disintegration. At that stage technology support and exports from India were becoming very important," says Parayanken. And that's where he saw the opportunity and decided to quit his job with Exim Bank to venture out on his own. "The government there invited me to share the expertise that I had picked up through my banking experience. It was a big career challenge and I decided set up infrastructure operations," he reminisces. The first step was about active participation in the Mozambique government's business and industrial restructuring and privatisation programme. "My first project was setting up a factory to make military uniforms. From there, I moved on to other big projects in building rural infrastructure," he says. Building his diversified business empire involved acquisitions of public sector companies in the services and infrastructure sectors through the public tender route. "In trying to turnaround the companies, I was heavily dependent on Indian expertise and technology," says Parayanken. He has hired many engineers and managers from India for his companies over the years. "There are huge opportunities for the Indian government and companies to support the economic development of Mozambique. The Indian government is already providing a line of credit of $500 million for infrastructure projects, agriculture and energy. Joint ventures between the two governments as well as projects by Indian companies will work very well," says Parayanken of the economic opportunities in Mozambique, a country rich in energy resources. The Afrodrill drinking water project, which was conceived by him and is now being funded by the Indian government, was a good beginning. The decision to settle down in Mozambique - a very unconventional destination for Indians - was definitely not an easy one for Parayanken and his family. For his children, too, settling down was a tough challenge. "It took us all a long time to learn the local customs and blend in socially," Parayanken says. His son Deepak has recently joined the business as executive assistant to his father after finishing his MBA while daughter Sheila Mary works in the US. And while Parayanken is proud of making a contribution towards the revival of the economy of Mozambique, the Indian government's prestigious Pravasi Samman, which was conferred on him by President Pratibha Patil at the recent Pravasi Bharatiya Divas in Jaipur, is a big honour. "I feel that I am playing a very important part in building economic and commercial ties between my country of origin and my adopted country," he says. Historically, India was one of first nations to recognize independent Mozambique in 1975 and create a diplomatic presence in Maputo. In fact, the country was the major beneficiary of Prime Minister Rajiv Gandhi's Africa Fund initiative in 1987. However, when we think big Indian entrepreneurs overseas, we don't usually think of Mozambique. But Mozambique Holdings is a group - founded by Jose Parayanken, a St Stephens and XLRI alumnus during the beginning of a free market economy in Mozambique in 1990 - which has kept the global Indian flag flying in this unusual market as well. Mr Parayanken, who went to Mozambique first in 1986 as a representative of the Exim Bank of India, started operations through active participation in the Mozambique government's business and industrial restructuring and privatization programme and acquired controlling interests in a number of public sector companies in the services and infrastructure sector with national presence such as Sovital E.E., which was the national servicing and distribution company for Russian made vehicles like Lada etc., Emocat E.E. which was national servicing and distribution company for East German made vehicles like IFA etc., Romoc E.E., which was the inter provincial passenger bus company and Anfrena E.E. which was the national freight forwarding and transit warehousing company. Today the multifaceted and well diversified business and industrial group is in transport and automobile distribution, transit warehousing and distribution, production and distribution of military, and police uniforms, spares and technical assistance. It executes over 60% of the government's rural potable water resources de-velopment plan. Fabrica de Uniformes Militares, (Faumil) was created in 1997 as a joint venture with the ministry of defence to produce uniforms and logistics items domestically. The success of Faumil encouraged the ministry of interior to create a joint venture factory for the logistics requirements of the police force including customs and immigration. In an Indian connection, the group also has a presence in automobile servicing and distribution and represents brands like Mahindra and Ashok Leyland. Mozambique Holdings was associated with Indian Oil Corporation to reconstruct and upgrade the petroleum terminal of Maputo Port to an annual capacity of 10 million tones. The group has a national cargo carrying fleet to support primarily its own logistics requirements all over the country. Mozambique Holdings has been granted toll concessions for the 320Km road linking Malawi and Zimbabwe through the Tete Province of Mozambique. Recently, the group has promoted a new company Companhia de Estradas do Norte S.A in partnership with the Road Authority of Mozambique and the Road Fund of Mozambique, which is responsible for constructing and maintaining a new bridge over the River Zambezi. The company also owns mining concessions for coal in Mutrara, Tete, for gold in Manica and Tete and phosphates in Monapo, Nampula. Mining activity is expected to substantially boost the group's net worth of $50 million and annual turnover of $80 million. H.E. 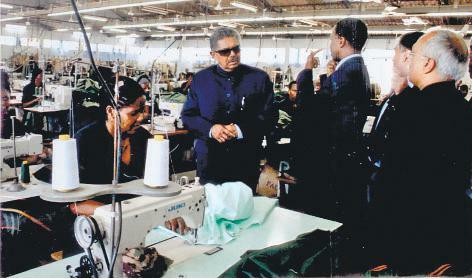 Mr. Anand Sharma Minister of State for External Affairs visits Military Uniforms Factory of Mozambique Holdings Ltd during his official visit to Mozambique. With him are H.E. 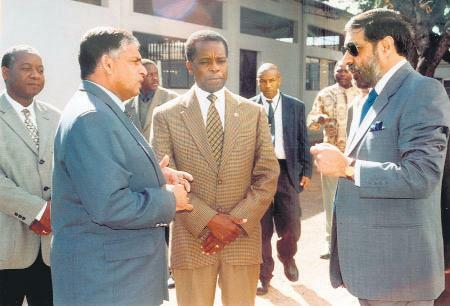 General Tobias Dai, Minister of Defence of Mozambique and Mr. Jose Parayanken.